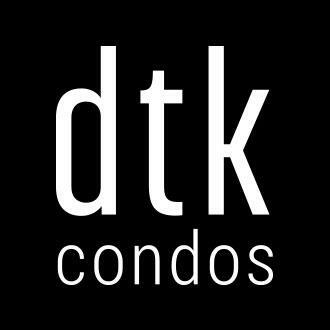 Duke Tower Kitchener (DTK) Condos is a new condo development by IN8 Development, located at 32 Duke Street East in Kitchener, Ontario. 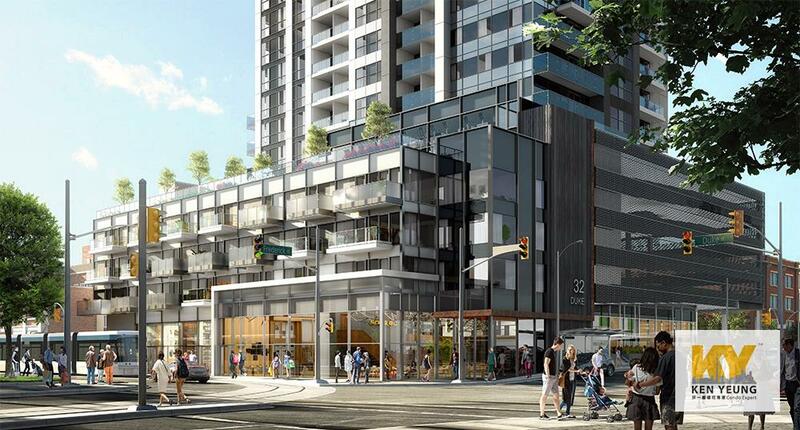 At the centre of Downtown, DTK will raise 33 stories to be the tallest tower in the city, and surely be a new landmark of Kitchener. 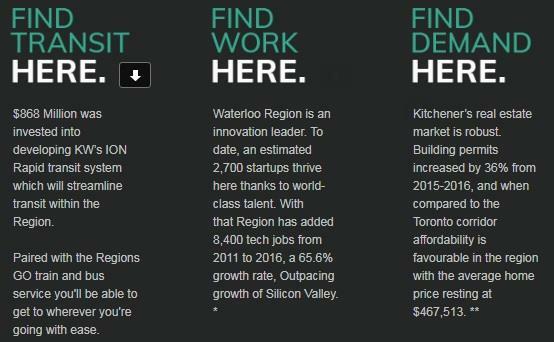 With a decade of private and public investment in infrastructure, innovation, business and community culture has transformed the city. 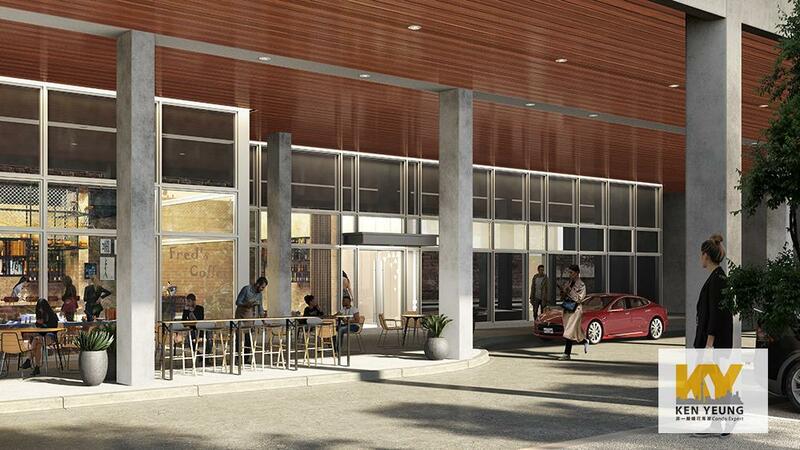 Downtown Kitchener is finally ready for you to live here. 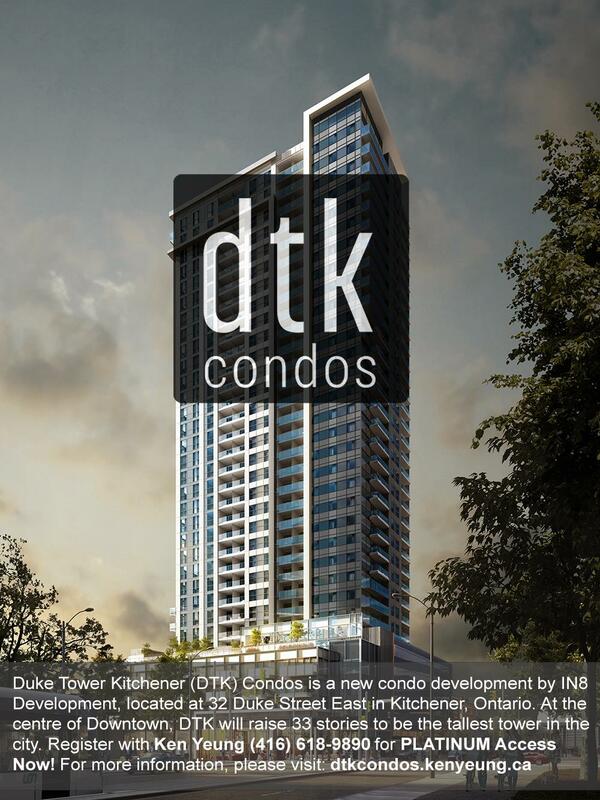 Duke Tower Kitchener – The Condominium Kitchener Has Been Waiting For. Fast acess to grocery stores (J&P Grocery) and farmer’s market such as New City Supermarket and Kitchener Market, bite in for fresh exprience. 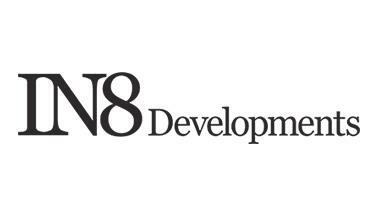 Never be bored! 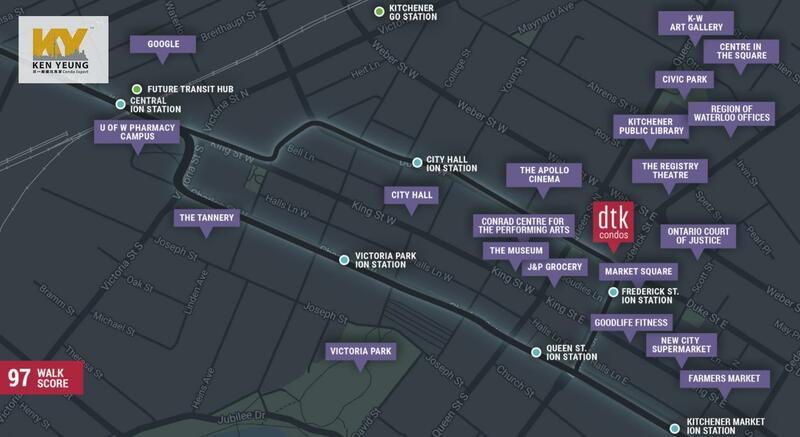 DTK condo is surround by dining and entertainment in Downtown Kitchener, nearby attractions include the museum, Conrad Center for the Performing Arts, The Registry Theatre, and K-W Art Gallery. Nearby parks include Cherry Park, Victoria Park and Kaufman Park and more. 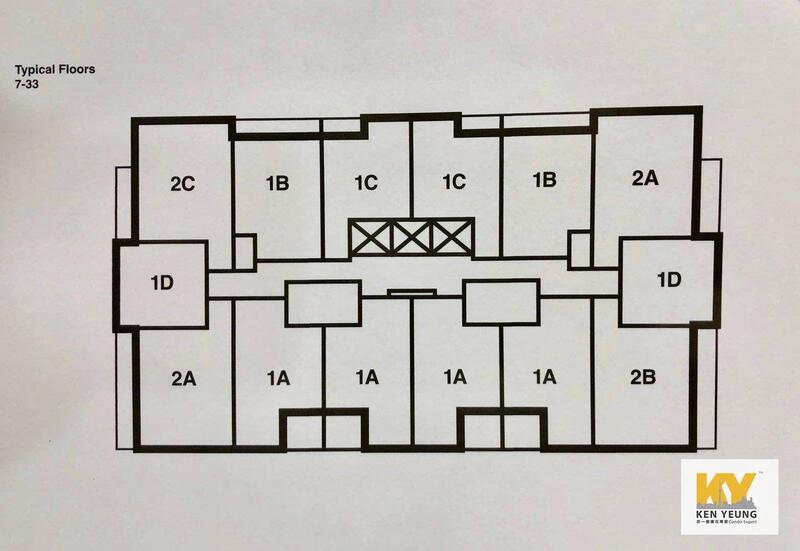 Condo Fully-zoned with 24 Concierge and Security.